and walked the nature trails there. we all had such a good time, walking....running...laughing and exploring. the dogs were completely worn out when we got home... they napped the rest of the afternoon. the views here are better than any waterfront house that i know of. i joked with my husband that maybe we could fit an airstream camper up in there........but instead, we will pack up the kids, dogs, tents, marshmallows and firewood and head over friday for a night of camping and adventure. there are trails to walk on, trees to climb, marsh to paddle through, and stories to be told by the campfire. thanks to my dad, i have had a love for camping my whole life. i was lucky enough to grow up here and to have experienced many a camping trip when i was younger. the days of vienna sausage sandwiches and spam are long gone, but the memories are permanently engrained and are being passed along to my girls. i am seriously just as excited as they are about going this weekend. 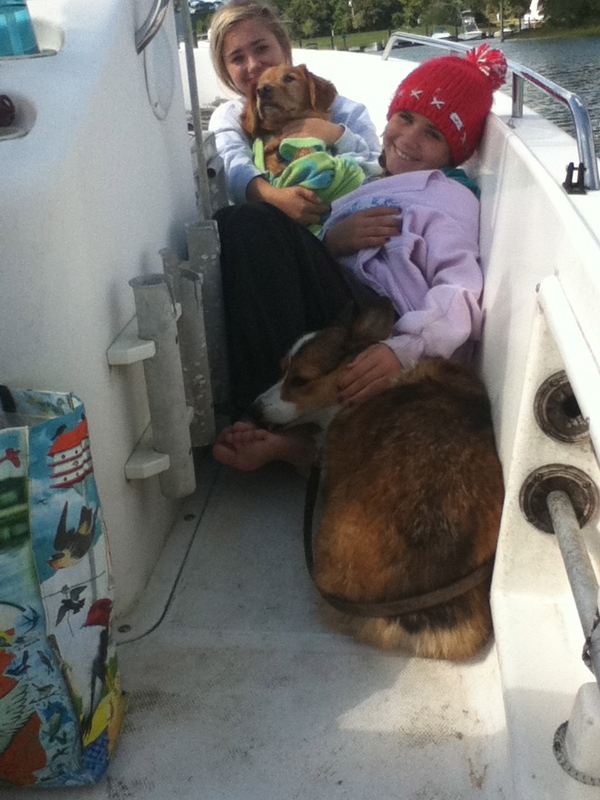 once again, everyone was exhausted on the boat ride home! my work is in somerset studio magazine. she did a great story about online classes, and included is some of the work from her students!! i am thrilled to be included here and am especially proud of the piece submitted more for the sentimental and symbolic value than the piece itself. many of the students submitted there beautiful work for this article. i hope you have a chance to check it out! PAM TOLL. i am really excited to go back for the second year and enjoy a couple of days with artists from around the world. i'll be cooking for the artists one night, and will have the opportunity to create in a diverse setting. can't wait to share more about this really awesome experience. Hi Kim.....just found your gorgeous blog via Beth Nichols. What a beautiful spirit you have shining through these words and you art. I was feeling a little peeved to be woken up with heartburn at 2am but now I'm kind glad about it cos I found another kindred spirit! oh, i must find a copy of this mag - i so love the piece of yours that's in there (for a number of reasons). belissima! thanks for your kind words on my blog and I love your pics!I am very inspired by so many creatives!